Officially, Suzuki says the seat height is 30.9 inches and the leading edge of the seat is 30mm narrower than the Gladius. This narrow junction between the seat and tank can almost fool someone to thinking the seat is even lower. At 5-foot, 8-inches, my 30-inch inseam is easily able to plant both feet firmly on the ground. 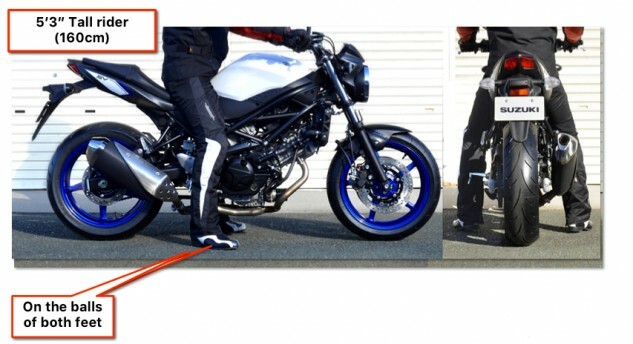 Newer and/or shorter riders will especially appreciate the ease with which feet touch the floor, too. First-gen SV owners used to shave the seat foam or use lowering links to help paws reach the ground. That’s not necessary anymore.